Starting Year 7 in September 2019? Applications are now open for secondary school places next year! Open evenings are held in the Autumn term each year for prospective pupils to look around each secondary school, with each school holding open evenings on a different evening. 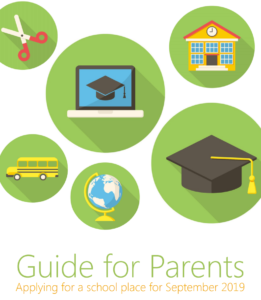 Please read the Guide for Parents before applying for a school place, it contains key information on school admissions for parents/carers. You can also find the Guide to School Catchment Areas online. Applications can be made until 31 October. Late applications can be made after 31 October, though these may be looked at after other applications. Applicants will be advised of their allocated school from National Offer Day, usually in March. If you are applying for schools outside of the City of York area or faith schools such as your local Church of England or Roman Catholic Primary or Secondary school, you may also need to provide additional information such as proof of baptism, or fill in a Supplementary Information Form (SIF).